Despite being relatively big, the company strives to be flexible. Various packing options have therefore been introduced. Growers have the option to pack individually or in syndicate. A wide choice as to the carton to be used is also offered to both marketing agents and growers. The importance of high standards is paramount. The company’s extension officers are actively involved in establishing world-class standards on the farms seeking to improve quality even furthermore. The aforementioned maintenance of high standards is also extended to the pack houses. Goede Hoop Citrus (Pty) Ltd has HACCP as well as BRC accreditation. The principles of ISO are also implemented and adhered to. To maintain present practices and expand knowledge with regards to improved production processes in order to assist the farmer to better the yield. To gather pertinent data regarding pest and other possible infestations so to prescribe and advise on preventative measurements. To gain first-hand experience of the latest technology by visiting, interacting and sharing knowledge with world leaders. Rendering a state of the art extension service to the grower on improved picking methods and practices thus ensuring that fruit reach the pack house in sound condition. Research on environmentally friendly treatment that will enhance the aesthetic value and shelf life of the fruit. Employing the results of the above-mentioned research to best effect. To train and develop personnel in best practices to improve productivity and export percentages. By means of the company’s active involvement in the preparation of the harvest it plays a major role in managing optimal picking windows. By doing so Goede Hoop ensures that fruit reaches the market in mint condition and at the right moment. 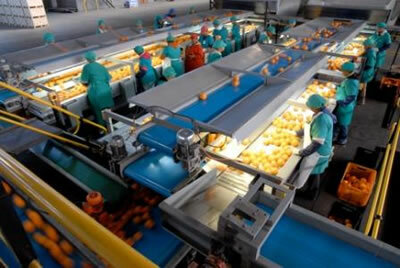 An in-house accelerated and simulated process to track the deterioration of fruit is applied. These processes enable the company to foresee and establish possible deterioration in the logistical chain and most importantly, take pro-active preventative action. The ultimate goal is once again to enhance the quality of fruit that reaches the market. As it is the company’s aim to answer to the need of the client/consumer at the right time fruit are scientifically degreened in order for it to be available on demand. A new area of involvement for Goede Hoop Citrus (Pty) Ltd is its commitment to environmental friendly cultivation methods. Growers are assisted and advised on this issue. The company played a leading role to assist growers to attain EurepGap accreditation. Today all such orchards are accredited. Environmental issues is of utmost concern to the company. Goede Hoop takes pride in their efforts to conserve the environment. Advanced information technology supports all operations. 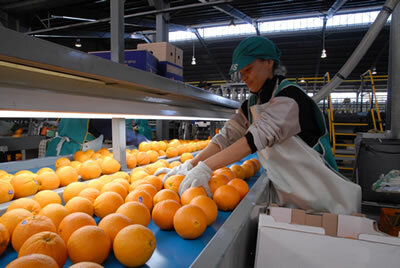 The information technology systems that are in place ensure that fruit received is processed within prescribed and acceptable protocol standards. The employment of this technology also allows for the trace ability of fruit to its origin: – the farm where it was cultivated. The inter-active website of the company allows clients direct and immediate access to vitally important information regarding their fruit once delivered to Goede Hoop Citrus (Pty) Ltd. The company believes in freedom of association and therefore enjoys no statutory protection. Fruit is procured by entering into a commercial contract with growers. Initially these contracts were renegotiated annually but because of the performance of the company as well as its desire to establish long-term partnerships with all its stakeholders a different approach is now pursued. Long-term contacts are concluded with growers. Currently 98% plus of the volumes are contracted on a long-term basis.